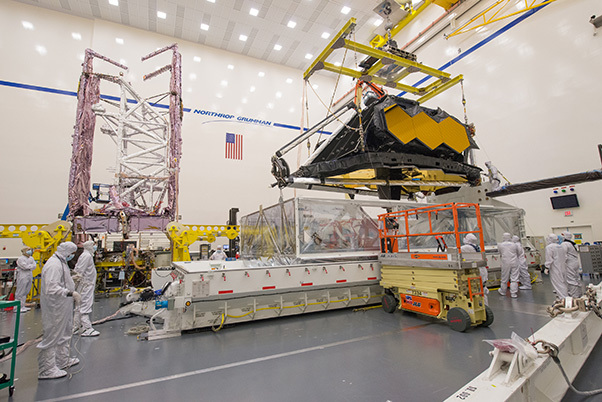 NASA’s James Webb Space Telescope OTIS (far left) and SCE (mid picture) featured in Northrop Grumman’s Redondo Beach highbay. 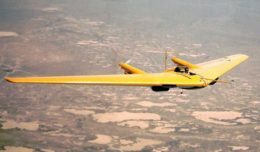 REDONDO BEACH, Calif. — Northrop Grumman has successfully powered up the two main parts of NASA’s James Webb Space Telescope, a significant event in the test and integration phase of the program. The Webb Telescope’s Optical Telescope element/Integrated Science instrument module and Spacecraft Element, which includes the sunshield and spacecraft bus, were separately powered at Northrop Grumman’s facilities in Redondo Beach. This is the first time both halves were powered in the same building.